Accommodation and tourist seasons in Bordeaux. The offer of hotels in Bordeaux is important and possibilities for diverse and varied accommodation. For a cheap hotel in Bordeaux, move away from the tourist center of the city, or head to a hostel. There are a few cheap hotels in front of the station, but we do not recommend them, a little creepy, like the neighborhood. You can find better in the city center for slightly higher but affordable rates. You can also head to the near-chain hotels outside the city or to the right side, more popular and cheaper. You will find many if not mid-range hotels in upper and luxury hotels in the city center or in the castles around Bordeaux. Ideally, it is better to book in advance his hotel in Bordeaux for more choice and increase your chances of getting the best rates. To book a hotel in Bordeaux, the easiest thing to go through the Internet: the hotel booking sites are ideal for comparing offers and sort according to its budget. Which hotel at what price? The budget accommodation in Bordeaux. The rates for hotels vary depending on tourist seasons: the prices given below are therefore orders only. -No dear: 20/30 euros / night -Good market: up to 60 euros / night -Price medium: 60-100 euros / night -Comfortable: 100-150 euros / night -High range of more than 140 euros / night Before you leave take a little time to find your place on the internet, see the comments, the various services, the situation of the hotel. Look carefully you will find affordable hotels in the city center and in the tourist areas. Some hotels in the mid-range: -Hotel Ibis Bordeaux St Jean, Paludate dock. Close to St Jean station, the rooms are small but fonctionneles. Price ranging from 53 to 90 euros. -Citadines Center Mériadeck Bordeaux, 25, rue Jean Fleuret, residence located between the new business district and the historic center of Bordeaux. Its 118 apartments range from studios for two people to large apartments. Rates start from 63 per day. -Tulip Inn Bordeaux 4 Martignac Street and 11 Street Mautrec, charming 18th century hotel near the Grand Theater and the Golden Triangle. 60-100 euros / night. -Hotel of Normandy, during the July 30, nice hotel right on the Quinconces. 60-100 euros / night. Where to stay? The districts of Bordeaux. The city of Bordeaux is divided into 12 districts. These twelve districts are: District Lac Bacalan District, District Grand Park, the Bastide District, District Town Hall, Quartier St-Seurin, Caudéran District, District St Augustine, Quartier St-Bruno, District Capuchins, Neighborhood Nansouty, Quartier St John. Bordeaux can also be divided into two parts: the old city of Bordeaux and former suburbs (part located inside the boulevards). 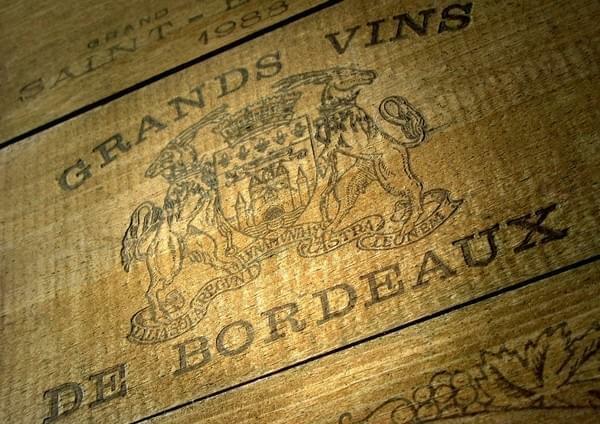 The old city of Bordeaux is the part located within the ancient walls of the city, which is in Verdun, Clemenceau, Place Gambetta, during Albret, Aristide Briand course, Victory Square, and during Marne. The northwest part of the old city is the richest of the whole city, there are restaurants and trendy cafes and upscale hotels. There are a few luxury hotels near Place Gambetta and Place Quinconces, which are really beautiful but quite expensive. In the northeastern part (St. Peter and St. Eloi neighborhoods), are also many restaurants, hotels and cafes. The southwestern part of the old town (around the Victory Square) is part bohemian and student of Bordeaux. There are many bars and a few midrange hotels. As for the southeastern part, are grouped around the station a few small budget hotels, but often ill-maintained. Outside the city walls, you can book a hotel in the Chartrons neighborhood or on the right bank of Bordeaux, both pleasant and fairly quiet neighborhoods. There are also many hotels in Mériadeck, the business district of Bordeaux, but it lacks charm. Some dream hotels in Bordeaux. Top 10 most beautiful hotels in Bordeaux -Grand Hotel de Bordeaux & Spa a 5-star hotel opposite the Grand Theater, in the heart of the historic center of Bordeaux. -Regent a 5 star hotel near the theater of Bordeaux. It offers a Michelin-starred restaurant guide, Le Pressoir d'Argent. About 350 euros for a room. -Hotel Burdigala - MGallery Collection an elegant 5 star hotel located in the heart of the historic center of Bordeaux. -Pullman Bordeaux Aquitania, exceptional establishment located next to Lake Bordeaux. It has a gourmet restaurant and bar, and an outdoor pool. -Novotel Bordeaux Meriadeck Center, close to the business district and historic center of Bordeaux. -Mercure Bordeaux Chateau Chartrons, elegant hotel in the district of Chartrons. -Mercure Cité Mondiale, elegant hotel in the Chartrons district and with panoramic terrace. -Novotel Bordeaux Lac, exceptional property located next to Lake Bordeaux. It features an outdoor pool. -Mercure Bordeaux Center, 4 star hotel located next to Bordeaux Saint-Jean train station. -Mercure Bordeaux Center, 4 star hotel located in the heart of Mériadeck, the business district of the city. -Seeko'o Hotel, located on the banks of the Garonne, this hotel features a sauna and steam room. To find a cheap hotel in Bordeaux you can turn to the periphery chain hotels in the city or towards Bordeaux hostel. It is open to all, with FUAJ card you will benefit from even better prices. Bordeaux has a hostel recently built near the station, do not forget to book in advance. Youth -Auberge, 22 Barbey course. Tel: (+33) 330 070 5/56. Breakfast and bedding included. 23 euros per person / night. What alternative to hotels in Bordeaux? If you want to spend some time in Bordeaux, the apartment rental can prove to be an economic formula if you are traveling with family or friends. Big advantage of the apartment: autonomy which you enjoy during the stay. With a kitchenette, need to eat out systematically, perfect if you are traveling on a shoestring. You can also go through leasing platforms on the internet, such as Wimdu It is usually possible to rent to night, week or month. The rental offer is wide and diverse, and well detailed rental listings. Alternatively the coach-surfing, the site location is well on couchsurfing.org. For those who might not know couchsurfing.org is a network that connects people offering a free bed or a sofa in their home with people looking for a bed or a sofa for a few days.